We are sometimes asked to sign contracts to confirm an order or purchase of a product or service. 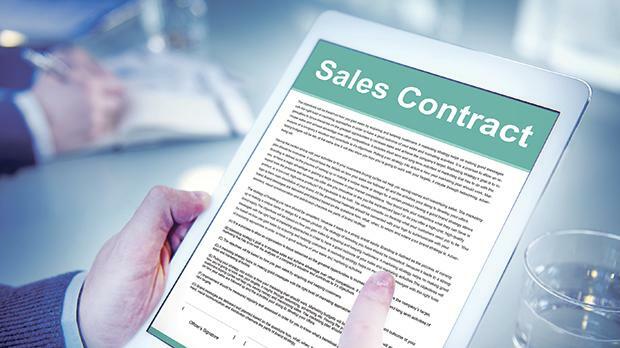 Very often, we do not take the time to read the conditions of sale we are agreeing to. We tend to blindly trust that the contract we are signing only includes what we have verbally agreed to with the seller. Unfortunately, problems crop up and, when we finally read the terms and conditions of the contract we signed, we realise that the contract included conditions of sale we were not aware of. Before signing a sales contract, it is our responsibility, as consumers, to carefully read and understand what we are agreeing to. By doing so we double check that what was verbally agreed to is written down, in black on white, and that we are not agreeing to other conditions of sale we were not informed about. At the very least, we should check that the contract includes a clear description of the goods or services purchased, the agreed price, the delivery date if applicable and the contact details of the trader. While we should be aware of our responsibilities, we should always bear in mind that sellers are legally bound to ensure that consumer contracts are written in plain and intelligible terms and hence should not be too technical to understand. Furthermore, the law provides that if a contract’s term can be interpreted in different ways, it is the interpretation most favourable to the consumer that prevails. It is also prohibited for sellers to include unfair contract terms in contracts. Unfair contract terms limit consumers’ rights or cause an imbalance between consumer rights and obligations and those of traders. Furthermore, the unfairness of a term is determined taking into account the nature of the goods and services purchased and also whether we, as consumers, were subjected to undue pressure or our lack of knowledge was improperly taken advantage of. The Consumer Affairs Act provides a list of terms that are considered outrightly unfair. Among these we find terms that try to prevent us from exercising our legal rights when the seller is unable to honour the sales contract, such as when the goods or services cannot be provided as agreed in the contract of sale and the seller does not allow us to terminate the contract. Contract terms that exclude or limit the liability of a trader in every possible eventuality and terms that establish an unreasonably short period of time for notifying the trader of any defects are also considered unfair. Terms that allow the trader to retain sums paid by the consumer should the latter opt to cancel the contract, but that prohibit consumers from requesting compensation if it is the trader who cancels the contract are also prohibited. Moreover, when we are unable to honour a contract of sale, we should not be asked to pay the trader a compensation that is disproportionately high when compared to the value of the goods or services purchased or hired. If the contract stipulates a compensation to be paid by the consumer, the same contract should provide for compensation of the same magnitude if it is the trader who fails to fulfil his obligations. When there is a change to what was originally agreed to, be it the price or any characteristics of the product or service, it is considered unfair if the trader reserves the exclusive right to determine the change in price or the conformity with the original contract. It is also prohibited to irrevocably bind consumers to terms they had no real opportunity to get acquainted with before the conclusion of the contract. We are protected against these terms which we may unintentionally sign for, as these cannot be legally enforced by traders. Despite this legal protection, we should still make an effort and read contracts before signing. Any contract terms we don’t understand or agree with should be discussed and clarified with the seller before signing. If a seller tries to enforce a contract term which we think might be unfair, we can seek the assistance of the Office for Consumer Affairs.